With increased financial costs impacting demand for legal services, businesses operating in the industry are increasingly looking to find ways to improve efficiency and cut costs by utilising the latest technology. 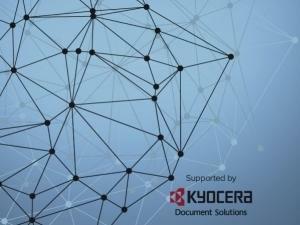 Identifying key concerns with document workflow. Mobile and cloud technology are becoming more prevalent, with 44% saying mobile working has had a positive impact on the business and cloud services judged to be the most important future technological improvement. But, concerns over security are likely to increase in the short term as firms adapt to a 'new normal' working environment with a cautiously optimistic outlook on the future. Despite printing, scanning and managing paper documents being highlighted as a drain on time by a large proportion of respondents, only 40% said their business has deployed managed print services (MPS). However, of those who worked in organisations that have implemented MPS, 19% said they had made savings of more than 50%. With more than a quarter (27%) of respondents saying the cost of printing and scanning is not accurately allocated in their organisation and a mixed bag of electronic copies, paper copies and mobile printing being added to the fold, MPS is likely to become more prevalent in the near term. Looking to the future, the biggest challenge outlined by legal workers is security (38%), closely followed by keeping costs down (37%) and dealing with fees (35%). Government legislation (31%) and keeping abreast of technology (29%) are also highlighted as big challenges, with mobility (28%) ranking close by.